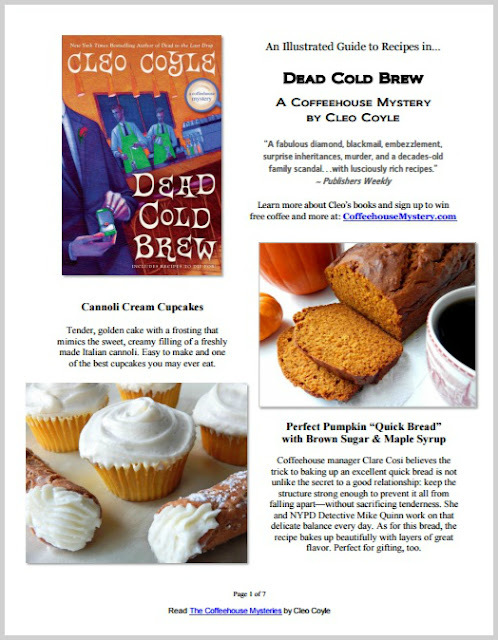 Marc, my beloved husband and partner in crime-writing, never knew his Great Aunt Felicity, but he grew up hearing about her fabulous secret recipe. 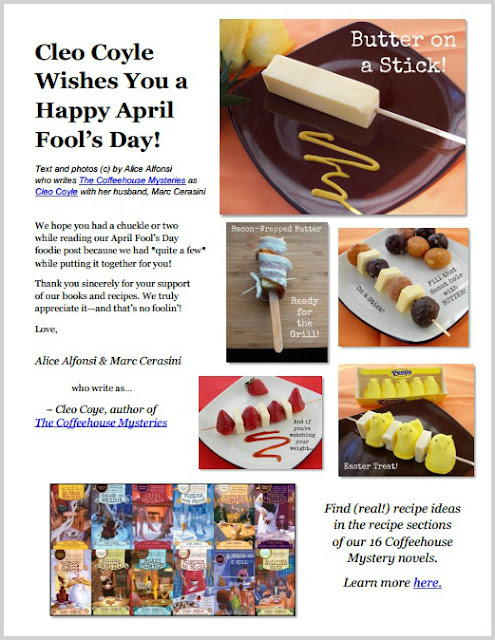 Today we're sharing it with all of you: Butter on a Stick! Like puff pastries, croissants, and pies, Butter on a Stick can be made sweet or savory. And you’ll be amazed to learn that something this amazing is a no-fuss treat. 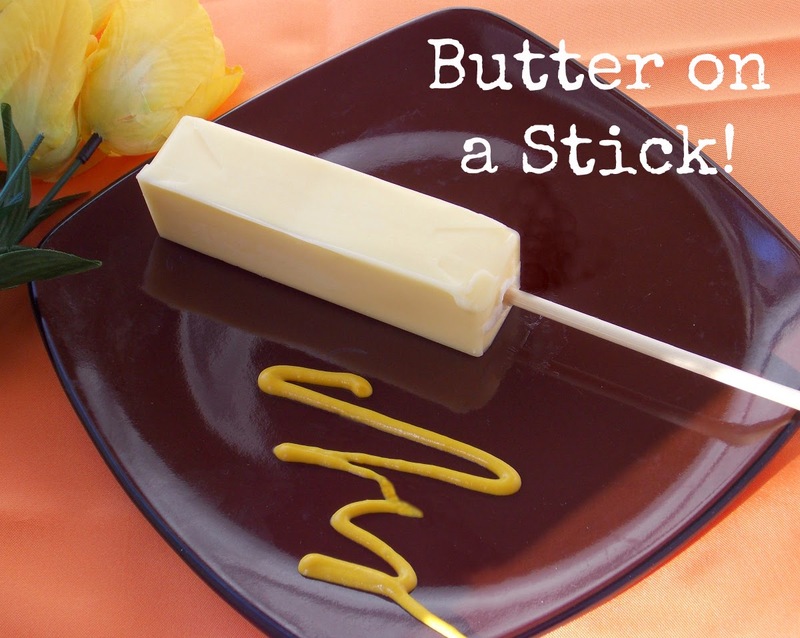 Butter on a Stick is so easy, you can prepare it with your kids, or (better yet) have those little freeloaders make it for you! 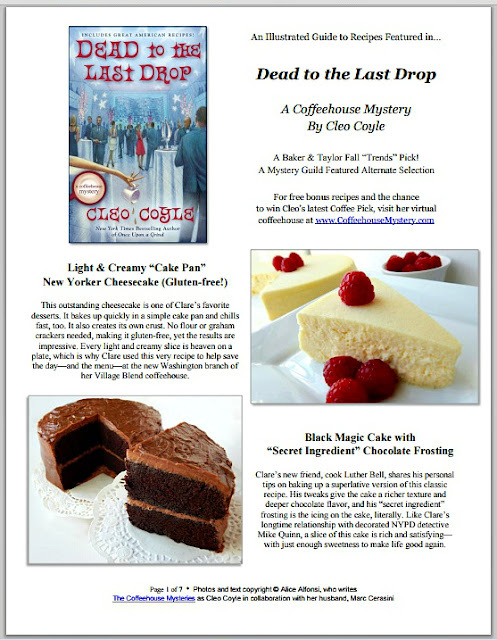 for a very special PDF! 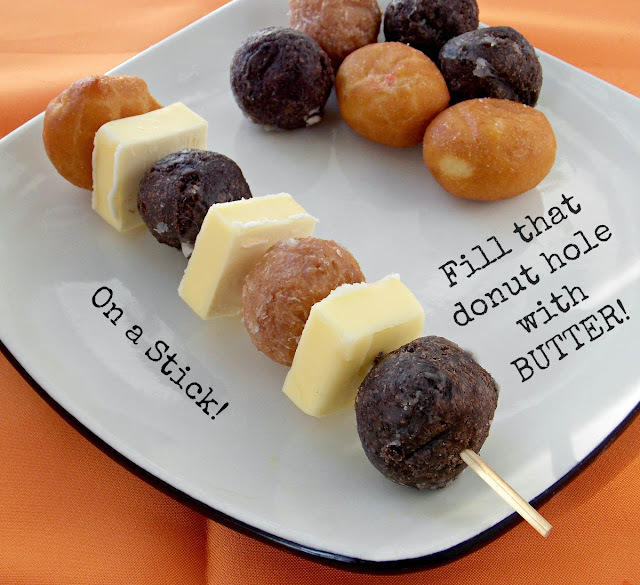 Butter on a Stick with Donut Holes! You can also try coating the original Butter on a Stick with chocolate jimmies, or rolling it in M&M’s, crushed nuts, or crumbled Oreos. Or simply add marshmallows and Hershey’s kisses for Rocky Road Butter on a Stick! budget, and (of course) your doctor's orders. 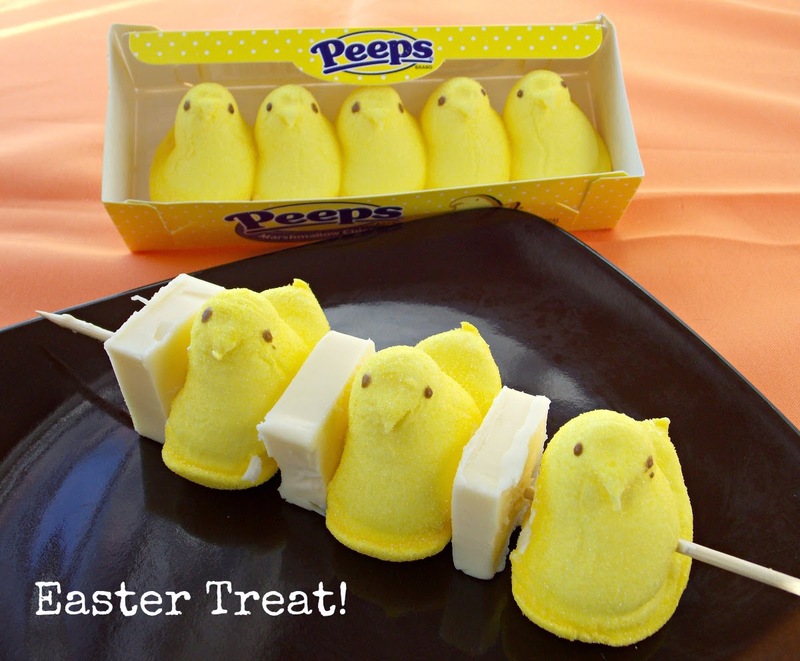 This Easter version of this classic dessert displays the beautifully bright yellows of spring. 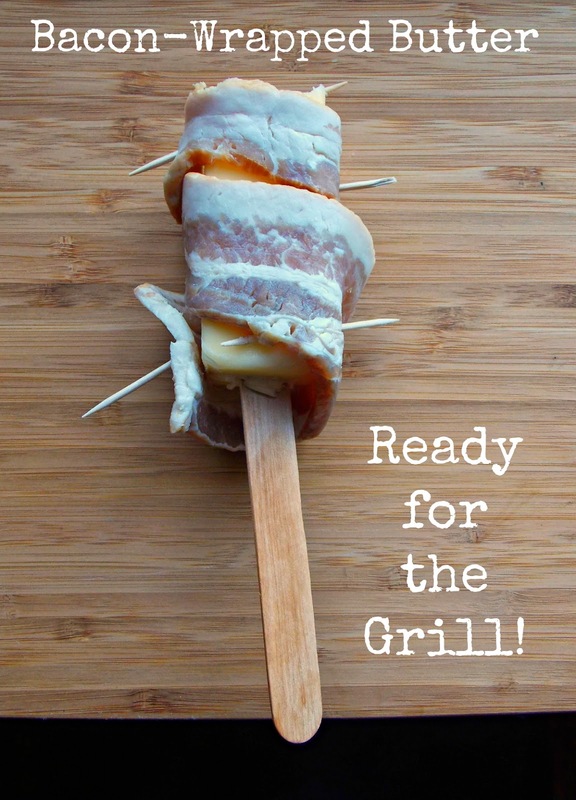 Bacon-Wrapped Butter on a Stick! If you crave sweet with your salty, try Chocolate-Dipped Bacon-wrapped Butter on a Stick with a sprinkling of French Sea Salt, of course. Oh la-la! Other popular savory versions have featured pepperoni, ham, fried chicken tenders, pork kabobs, sausages, mini-franks, and meatballs. 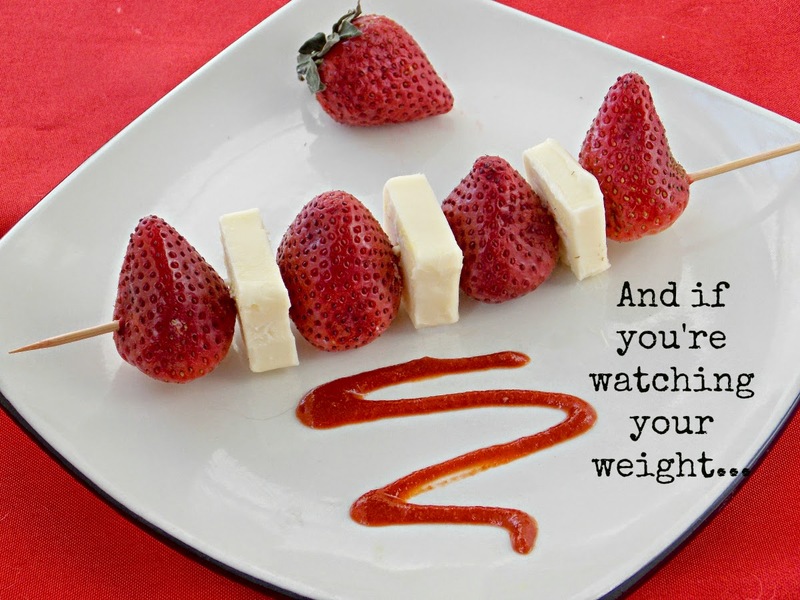 Butter on a Stick with Fruit! Here’s a healthier alternative. Or you can try tofu, cherry tomatoes, cucumbers, apple pieces, melon slices, or bananas. 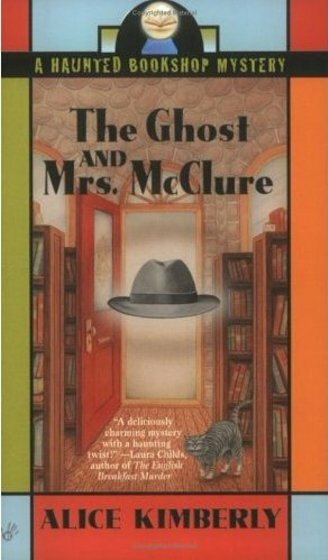 Who like to Solve Murders. on Facebook by clicking here. a capital crime. (It's true. 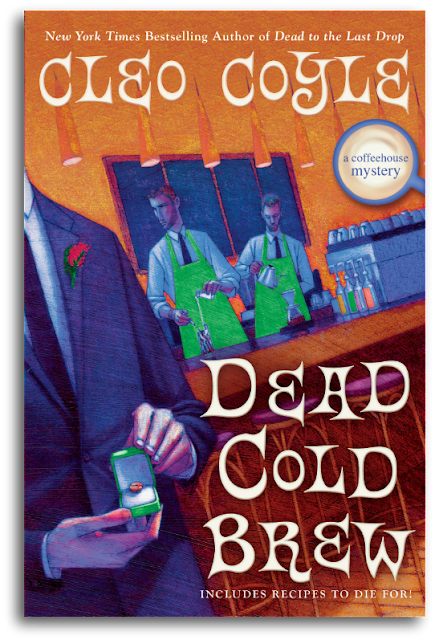 of amateur sleuth fiction (okay, with some facts). read these. Really, you should. And, remember, no obscenities on weekends.